From roses to lilies and peonies to orchids, our arrangements combine beautiful, unique and exotic flowers. Because we don’t believe in cold storage, our bouquets are always fresh and long-lasting. 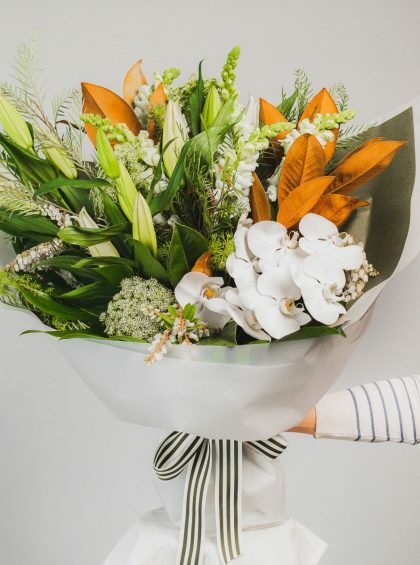 With fast, same-day delivery before 12pm, we tailor and distribute our bespoke floral arrangements across Sydney. 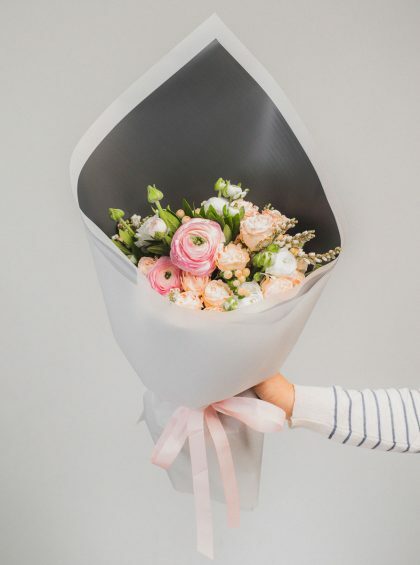 Make his or her day with classic, elegant flowers. 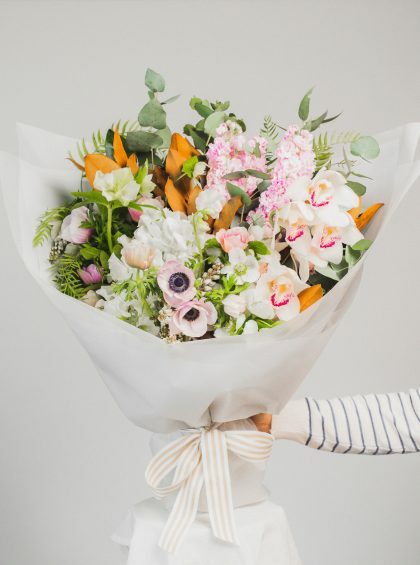 The perfect gift for any occasion, this beautiful bunch can say anything from I’m sorry to well done. Keep it simple with fresh, modern flowers. 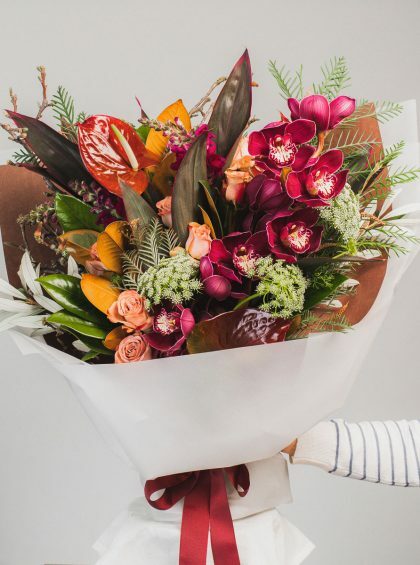 Sleek and expertly arranged, our modern bouquet is appropriate for any event – from hellos to goodbyes. 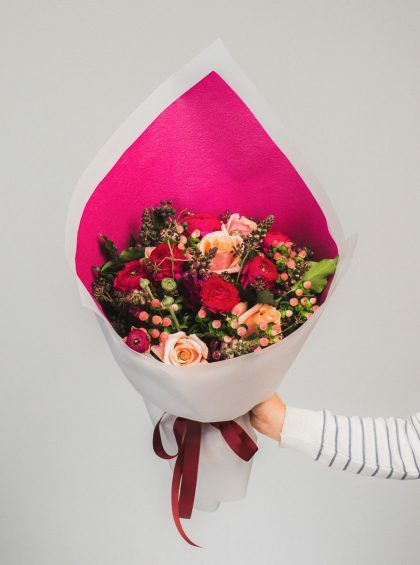 Show them how much you care with soft, pretty flowers. 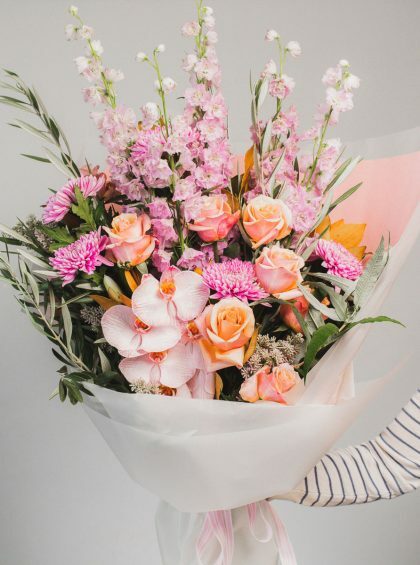 From congratulations on the baby, to a special anniversary, this pretty bouquet will make your special someone feel very special indeed.